If launch blocking issues are at zero on the 28th of October then the Drupal 7 upgrade will begin on Thursday, the 31st of October. They mention that Drupal.org will be down for 24 hours. During this time Drupal.org will be replaced by a static site. Other sites such as groups.drupal.org will not be affected. Acquia Cloud Free makes deploying code, files & database easier than ever. Just drag-n-drop, or use Drush or Cloud API to deploy. Plus, your free sub gives you instant access to a ton of awesome code testing tools. It’s time to get creative while we do the rest. Sign up for Acquia Cloud Free now. Lullabot’s Juan Pablo Novillo Requena explains how and why you might want to considering moving logic from the server to the browser. Larry Garfield weighs in on Backdrop and many concerns about Drupal 8. A must read. Check out the style guide for the Seven theme in Drupal 8. It’s great to see so much effort being put into helping Drupal on the design front. It’s looking slick. Drupal 8 Core maintainer Nathaniel Catchpole explains why and how Drupal 8 adopted Symfony2 components on the Drupal Watchdog blog. Ken Rickard of Palantir covers some to the awesomeness that is Drupal 8. 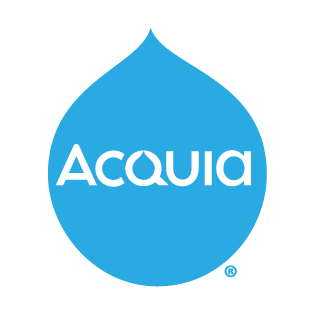 Dries outlines Acquia’s contributions to Drupal and plans for more contributions in the future. Chris Hertzog shares how to set up comment notifications on a Drupal 8 site. The Symfony app/console for Drupal by Jesus Manuel Olivas & David Flores. DrupalAppConsole is a commandline tool that will create the scaffolding of a Drupal module. A list of modules and themes have been removed from Drupal 8 core. Bye bye Garland, PHP filter, and Trigger! Ruben Teijeiro continues his Drupal 8 series with an example of creating templates for his Bingo module. Drush is the way, drush uli to be specific. This will change you day. For all the Vim users out there. I’m getting closer to switching to Vim. Just sayin. OSTraining shows you how easy it is to replicate Wordpress functionality in Drupal. Yep, I said it. Check out Web Omelette’s intro to TableField module that makes attaching a table, as a field, to any entity easy. Advomatic share their automated Drupal sites development workflow. If you do Drupal development be sure to at least give this a glance. Ivan Zugec of Web Wash explains how track search queries in a few ways using different modules. Be sure and check out Matt Farina’s slides from his talk at DrupalCamp Michigan. I wish there was video of his talk but the slides are worth a look anyway. I’ve been using the 2.x branch of Features for a while now and I highly recommend it.